A chimney cap is installed on the tops of chimneys and serves an important purpose by protecting your chimney and home. 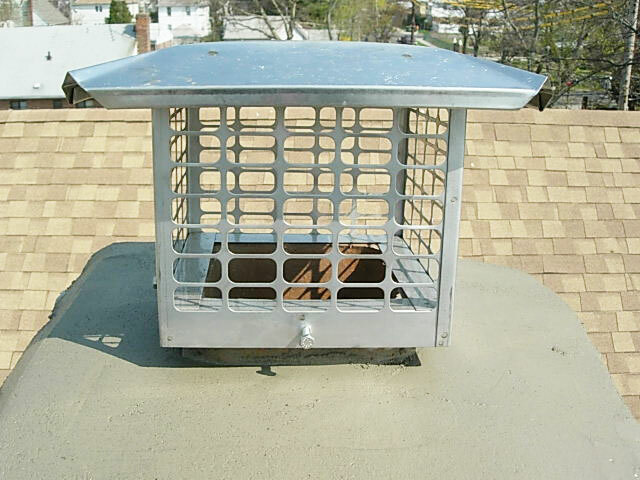 Chimney caps offer benefits such as preventing water from entering the chimney flue, acting as barrier to keep small animal pests out of the chimney, and preventing sparks from escaping your chimney which could start a roof fire. If your chimney cap is damaged or you need a new chimney cap installed then contact the chimney experts at Chimney Repair NY 1-877-952-7425 or request your Free Chimney Cap Installation Estimate. Chimney caps play a critical role in keeping your chimney and flue in proper working condition when in use and all year round. By keeping water out of the chimney flue, it improves the chimney’s durability and functionality. One of the most common reasons chimneys don’t work optimally is when the flue is dampened. For professional chimney flue repair service or chimney cap installation, call the reliable chimney experts at 1-877-952-7425 or request a Free Chimney Cap Quote. Homeowners today can choose from a variety of caps such as stainless steel chimney caps, multi-flue chimney caps, copper chimney caps and pots, and removable caps that are easier to install and clean. Our services are designed to accommodate a wide range of clients in New York including residential homes, apartment buildings, homeowners associations (HOA), brownstones, and commercial buildings and we are committed to providing clients with the highest level of quality service.